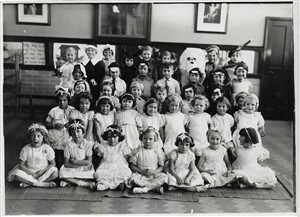 This photograph of a group of children appears to be taken at the Alderman Swindell School in Great Yarmouth before World War 2. 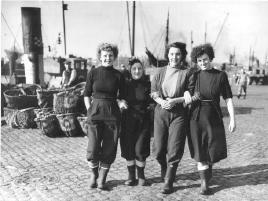 The photographer was Edward E Pacey of 20 Keyes Avenue, Great Yarmouth. The children are all wearing costumes and had probably just presented the school’s Christmas dramatic production. This page was added by Paul Godfrey on 23/08/2018. To add your own page click on this link and follow the instructions.